I had the pleasure of working with Candy Black on the conceptualisation and Branding of LoveMyPA. With the expertise of Jason and Katie, we began the process with an afternoon Workshop, talking through the core identity of the brand right through to the service offering and tone of voice. Following the workshop, Candy Black presented to me 3 concepts of the brand identity a week later, covering logo lock ups, font, colour schemes, business cards and imagery. It was almost as if they took a walk around my imagination and conjured to life the exact personality, feel and positioning I wanted. 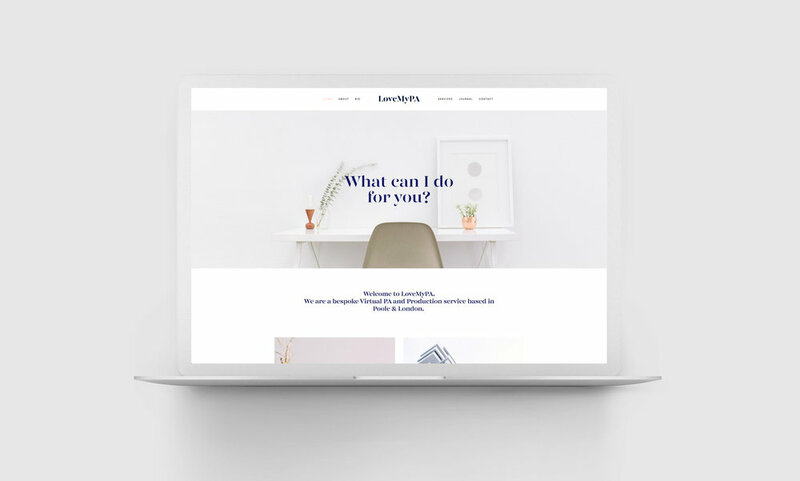 After we all mutually agreed upon concept 3 (they saved the best for last), Jason expanded upon the visuals and began formulating the website template, hosted in Squarespace. I began writing copy and we started looking at my marketing approach for social media content; what would the Instagram grid look like holistically? How often did I want to post? Was I 'we' or 'I'? How can I add value with the content I'm positing? These were just a few of the questions we talked through while building the overall strategy. Over the period of around 3-4 weeks start to finish and only a handful of revisions, Candy Black helped me launch LoveMyPA. Having been on the flip side of the process, working for agencies in the past, it was so enlightening to benefit from the expertise and creativity of Candy Black for my own project. Every stage from concept to launch was entirely seamless and smooth-sailing. Jason and Katie deliver consistently premium content and have the expertise to communicate and conceptualise brands powerfully. It's a privilege to now form an associate network with Candy Black, each offering our existing and future clients with Project Management and Graphic Design, respectively. We continue to work with local and international clients, binding together our collective experience in Branding and combining creativity and productivity. Think you could use our branding services? Contact us for a call or to set up a meeting, we would be happy to discuss your needs!